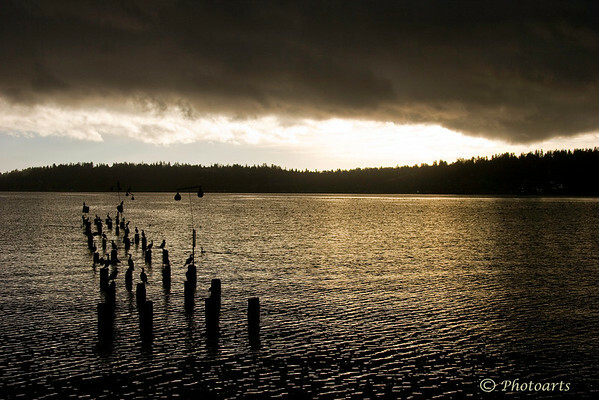 Wonderful mood created by the ominous low-hanging clouds and the retreating line of posts and birds in silhouette! Love the composition and the light! Very beautiful photo!